I totally forgot to write about the one quilt that I saw at the quilt show that made my heart skip a beat. My own! My Technicolor quilt was a part of the Rock Paper Scissors vending booth! It was so cool to see it there, and Beth’s booth was absolutely gorgeous. 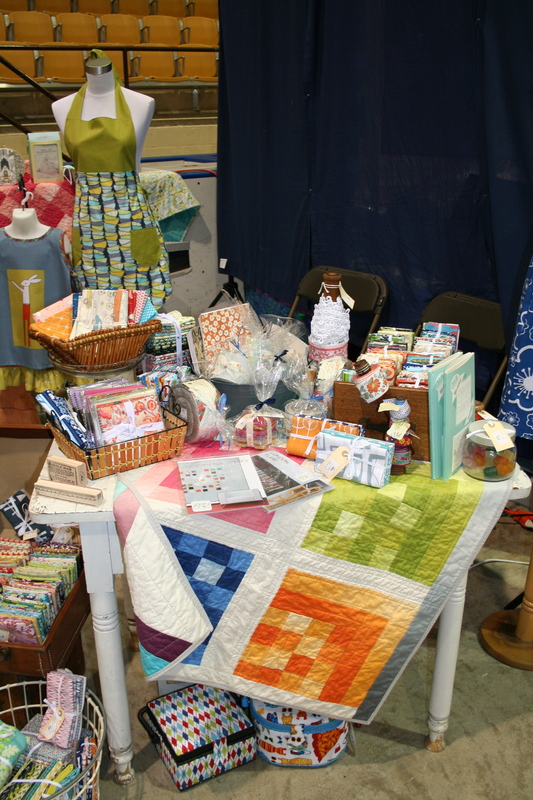 My ombre patchwork quilts were there too, but sadly I didn’t get a good shot of them. If you look reeeeeally hard you can see them on the back shelf. I picked up some quilting accessories that I’m going to post a review of shortly. 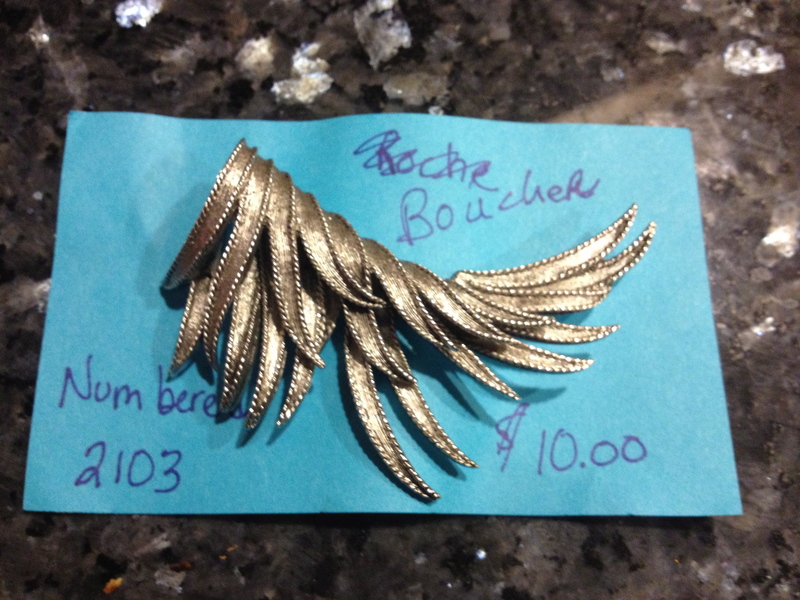 But my big find was a gorgeous vintage Boucher pin. I did some research, and I think it was a steal! We are super proud to be able to show off your quilts, Melanie!!! Thank you for letting us share them with everyone!